If you want to find a wonderful option to have a peep into your future and remove all the barriers that you have once faced, then you can opt for Tarot reading. I have a verifiable and impeccable record as a Tarot reader. As an experienced tarot reader, I make use of the cards in order to reveal energies, trends and patterns, which can help you to understand your present condition and foresee the future events. I use various decks with various symbols. 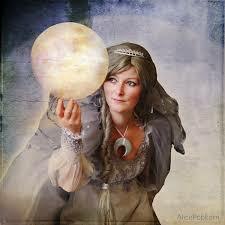 If you choose me for Tarot interpretation, I will at first you to clear your mind. Then, I will advise you to close the eyes and visualize your own self that is bounded by glowing, energizing and radiant white light. I am also recognized as the well-known psychic reader. Many people believe wrongly that you need to talk to a psychic reader face-to-face to have the right analysis. But, I think that is not true. As a genuine psychic medium, I will be competent to foretell your future only with your birth date and your name. I will inspire you to know about any aspect of your life, Love, married life, Relationship, career and so on. My website is just the right place, if you search for psychic. My personal astrologically based interpretations of Tarot cards are backed up with my own perception. I have not yet found any inconsistency in my readings. Excellent!!! Give her a chance!! What a great session! always makes me feel positive and strong about my situation! accurate with the reading , thank you ! !